American Veterinary Medical Association shared a statistic that stated, “36.5% of households own a dog.” In our world today, it’s not rare to have a neighbor that owns a dog or pass a dog walking with their owner around the city. As our society continues to grow, more houses are being built which means less yard space for dogs to enjoy. With less yard space, more people are taking their dogs to parks and neighborhoods, but this means the dog encounters more unfamiliar people. The fact that 36.5 % of households own a dog and have less yard space for it to run raises the chance of becoming a victim of a dog attack. 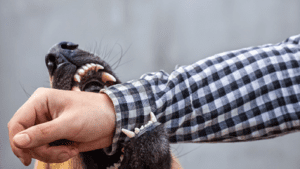 If you or someone you love, has suffered an injury due to a dog bite, it’s time to contact a dog bite lawyer in Lafayette. The insurance industry paid more than $530 million in bite related claims in 2014. Dog injuries will vary, and if one has suffered an injury, an attorney can help seek the right compensation for the injury. These are just some of the injuries one can experience if they have suffered a dog attack. In some cases, a person may become infected with a bacteria such as pasteurella multocida, which is a pathogen that can be found in wild and domestic animals, and capnocytophaga canimorsus, known as a bacteria. There are various traces of bacteria that an individual can come in contact due to a dog attack, and it’s essential to be evaluated by a doctor. Do not talk to the owner of the dog or anyone that may contact you from the owner’s insurance company. Also, do not sign any type of agreement until you contact an attorney. Contact one of our Lafayette lawyers. An attorney has the legal experience and knowledge to handle your case. They will know exactly how to take care of your injury and what type of questions they need to ask. An expert in bite injuries will ensure the laws are followed. They will also guide you through the paperwork you need to complete. 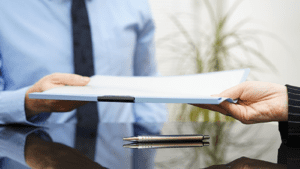 A lawyer can also help you gain any financial compensation or damages you deserve. Such as medical bills, therapy, pain and suffering, lost wages, and permanent disability. If you or someone you know has been injured in a dog attack, you need a personal injury lawyer who handles dog injury cases. An experienced lawyer will assist you in gaining the financial compensation you deserve and has the knowledge to help you file your case. The Law Offices of Blaine Barrilleaux provide free case consultations for Lafayette dog attack victims. To schedule your free consultation, call our office at 337-989-1212. We can explain your legal options. If you come in contact with a potentially dangerous dog, contact a local animal shelter or animal care center. Listed below are resource links.